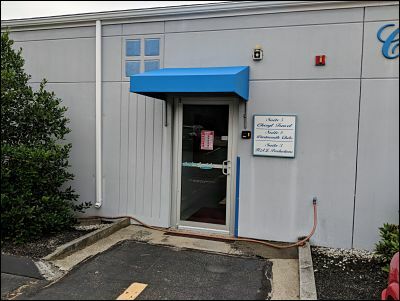 A simple vinyl entrance awning can define the entrance to any business. 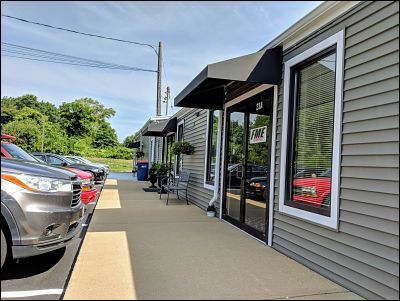 Whether your need is to protect customers entering and exiting from your business, or to create a defined 3 dimensionality to your entrance, a commercial vinyl awning is for you. Another entrance awning that makes sure that customers know which door to enter.